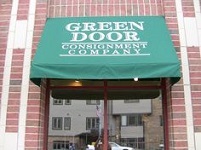 Green Door Consignment Company carries a wide selection of current and on-trend women’s clothing, jewelry and accessories, home and garden décor, and accent furniture. Whether you wish to consign, shop, or do both, you will find Green Door to be one of the nicest consignment shops you have visited! Don’t take our word for it – stop in and see for yourself! (Ample parking and an entrance in rear of building, at Lakeside Memorial Park). Hours: Tuesday – Friday, 10-6; Saturday, 9-4; accepting consignments by appointment. Tupperware products support the three tenants of Smart Living: They are good for your health, good for your wallet, and good for the environment. At my Tupperware in home parties I make sure you and your guests have fun, win free stuff, play games, learn tips and tricks, and of course eat something tasty and made in Tupperware!